Not too long back, a classroom meant assignments , blackboards and chalks, heavy duty lectures, etc. Today, things are a lot different. Classrooms, be it in a school or college, are slowly inching towards infusion of modernity in the education system and it will take a while to ease out rote learning as the most conventional method. To be specific, it implies memorizing minus understanding or ‘learning by repetition’ . While it is strongly avoided by most curriculums in the developed world since it doesn’t encourage use of intelligence, India too has finally come of age having learnt from its past mistakes. The transition from rote learning to tech-based education is clearly evident. Swanky laptops, CDs, and e-learning are now part of everyday education. 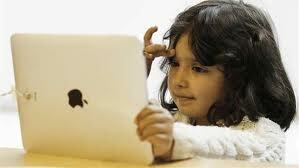 E-learning is mandatory in this age; it is definitely the need of the hour in India. The majority of people in India comprise what is called the GenNext and it is imperative to provide them the right kind of education. While e-learning ensures that data quality remains the top-most priority, it also facilitates development of content. Among universities, Amity University, Manipal and Symbiosis were the trendsetters and now the craze has caught on with schools as well. Though setting up a technology-driven system is not an easy task. India has made giant strides in improving her education system, but a lot still needs to be done in terms of modernization. The introduction of IT will not only aid the students but also the faculty, and as a result overall efficiency of the system is bound to improve. Anywhere anytime learning is the buzzword. Students these days have their own laptops to work on. Along with wireless network in the campus. Thanks to Internet, everything is available at the click of a finger. And, the students are making the best use of this technology. In this jet-age it is required to replace notebooks and textbooks by ‘laptops and presentations’.